Here is a brief overview of some of our customers including testimonals and case studies. We provide robust, reliable and comprehensive systems to a wide range of retail sectors and have a well-established and solid customer base, who, we are pleased to say, will endorse the quality and reliability of our software and services. The list of customers shown below includes the great majority of retailers whose businesses rely on the software and support that we provide. Squires Garden Centres, a family-owned garden centre group, was founded over 80 years ago and has 15 centres across West London , Surrey, Berkshire and Sussex. Squires installed WinRetail in November 2014. “I have no hesitation in recommending Corby & Fellas; their software is comprehensive and well thought out. Furthermore their support, maintenance and services are second to none”. Hillview Garden Centres Ltd. was created in 2011 and currently operates 11 stores predominately across the Midlands. The CEO of Hillview is Boyd Douglas–Davies, a well known figure in the garden centre world. Haskins Garden Centres operate 4 of the largest destinatition garden centres in the country from their headquarters in Ferndown near Bournemouth; Haskins have been a C&F customer since 2005. “Haskins has greatly benefited from the use of WinRetail and continues to do so. I am happy that we made a wise choice that will stand us in good stead for the future”. Hillier Garden Centres have 12 sites across the South of England. They have a long and distinguished history, stretching back to 1864. Hillier have the distinction of having won 70 gold medals at the RHS Chelsea Flower Show. Aylett Nurseries, which occupies a 7.5 acre site near St. Albans, was established by the late Roger Aylett in 1955. Aylett Nurseries was probably the first garden centre in the UK to use an EPoS system, back in July 1987, so the company new exactly what they wanted when they chose WinRetail..
“I’m happy to say that Corby & Fellas has met all our expectations and continue to provide us with excellent service. I find them easy to deal with and find their lines of communicatition to be refreshingly short. I have no hesitation in recommending them”. Johnsons of Boston operates a Garden Centre, Restaurant and Fine Food Store on the outskirts of Boston in Lincolnshire. They are a family run business dedicated to providing the best products and produce for their customers. They work hard to support local businesses by stocking high quality, locally sourced goods..
“I am pleased to say that Corby + Fellas have matched my expectations. They clearly have the necessary skills and experience, and, above all, the right attitude. I continue to be impressed by their support and their responsiveness when it comes to software changes/enhancements. I feel sure that we made a wise choice that will stand us in good stead for the future”. Camden Garden Centre, established in 1983, occupies an unquestionably urban location, nestling between a main railway line and the Grand Union canal, its buildings occupying a former railway siding. Camden not only supplies a broad range of plants and gardening products but it is also a charitable trust offering employment, vocational training and educational opportunities to disadvantaged people. Camden are a member of the Choice marketing Group. “Our new tills are super‐fast. Using touch screen technology, they have an excellent visual look-up option that handles fast moving, non‐barcoded items, such as bedding plants, very efficiently; saving us a great deal of time”. Bourne Valley Garden Centre has been a family run business since 1952 and is located in Woodham near Addlestone in Surrey. They are a member of the Choice Marketiting Group. Originally established as a nursery, Bourne Valley is now a complete home and garden shopping centre, which includes a farm shop and a very popular restaurant. Coolings Nurseries Ltd. can trace its beginnings back to 1913, when Arthur Cooling (grandfather of the current head of the business) started growing market garden crops as a part-time occupation. The garden centre is located in Knockholt, Kent. They are renowned for their excellent customer service and the range and quality of their plants. “We were impressed with how smooth the installation process was with Corby + Fellas, this was a huge improvement from the implementation with our previous EPoS (Electronic Point of Sale) provider. The support leading up to going live and after going live has been brilliant and having the project manager on site for going live put our minds at rest”. Fakenham Garden Centre is located in rural North Norfolk, on the outskirts of the market town of Fakenham. It was founded in 1985 and is a traditionally run family business, well known for supplying premium quality plants. The centre has a coffee shop, which is open 7 days a week. Fakenham is a member of the Choice Marketing Group of garden centres. “From the first phone call to inquire about changing our EPoS system the staff at Corby and Fellas were most helpful. As a single site family owned business we needed to have some bespoke detail for our store these were implemented without any problems and sorted before we went live”. Gog Magog Hill’s Farm Shop is an award-winning Farm shop in Cambridge that was established by Fred Bradford in 1919 following the First World War. Fred in the Great Grandfather of Charles Bradford who is the now Managing Director. At The Gog they have a real passion for good quality food, which they offer in their farm shop, award winning butchery, café and kitchen. “The Corby & Fellas WinRetail system has quickly become a vital and integral part of our business operations, supporting the quest of our various departments to become one of the country’s finest food retailers”. QD Stores is an independently owned chain of discount retail outlets situated throughout the East of England and the Home Counties. Based in many of the region’s larger towns and cities.. In addition to their physical store QD operates a highly successful web site. Vanstone Park Garden Centre is a single site garden centre located in a beautiful parkland setting. They have a plant nursery, garden shop, and a café . An additional attraction is the Vanstone Woodland Railway, an unusual 10 1/4 inch gauge railway that gives rides around the park. Vanstone Park is a member of the Choice Marketing Group. Hawkins Bazaar is the retail arm of Tobar group Trading Ltd. They have 30 stores throughout the UK selling a wide range of toys, gifts, gadgets, games and curiosities. Based in Norwich, Norfolk they have been in business since 1973, Hawkins are a long-standing customer of ours, having introduced our software in 2002. 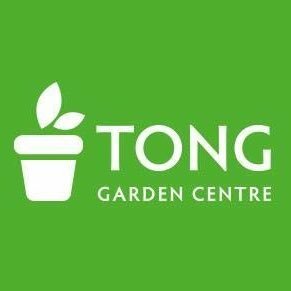 Tong Garden Centre is proud to be Yorkshire’s largest independent garden centre, nestled between Leeds and Bradford. With an extensive outdoor plant department, an enviable range of gift and home accessories as well as garden furniture, BBQs and water features, all you need to keep your garden looking great all year round.